Several years ago some 400 names of the most noted people of all times, from all walks of life were chosen for study on longevity and success. They were statesmen, painters, warriors, poets, writers, etc., who made up the survey. Opposite of each person was listed their greatest achievement, followed by the date at which the individual was at his best. The list then was then arranged according to decades. The study revealed that the decade of years between 60 and 70 contained 35% of the world’s greatest achievements. Between the ages of seventy and eighty, 23% of the achievements fell; and after the years of eighty 6% fell. In other words, those who had passed their sixtieth year, the greatest percentage, 35%, being in the seventh decade, have accomplished 64% of the great things of the world. The figures for the other periods of life are interesting. Between the fiftieth and sixtieth years are found 25%, between forty and fifty, 10%. These, all totaled together, leave the almost negligible quantity of 1% to be attributed to the period below the age of 40. If all of this be true then no man of God should think of age as a brick wall to his ministry. Time is on your side if you spend your time wisely. Benjamin Franklin invented bifocals at age 76. Whitney Johnson in the Harvard Business Review argues that entrepreneurs get better with age. Billionaire Carlos Slim (aged 73), perennially one of the richest people in the world argues that workers in developed economies are in their prime in their 60s. Vivek Wadhwa, well-known technologist and academic argues that ideas come from need, understanding of need comes with experience and experience comes with age . Other factors like aversion to risk clearly change with age but also with experience of economic issues. This American Express OPEN Survey looked at factors driving entrepreneurship across age groups and shows shifts over time in risk aversion as well as passion. None of this information should really be a surprise. The reality is that some people have an entrepreneurial drive that is inherent. Some develop it over time and some are forced to it by necessity. And experience clearly helps success. An interesting study by the Founder Institute found that up to approximately the age of 40, businesses were more likely to succeed as their founders age increased, but that this improvement plateaued at 40. Need more evidence? Here are nine-and-a-half entrepreneurs who started their businesses aged over 60 and have had great success. Lynne Brooks won the Later-Life Story Contest at the Center for Productive Longevity with her story about quitting a job she didn’t like at age 59 and then getting laid off from a new job less than a year later. So she set up her own non-profit business, Big Apple Greeter, in 1992 as a ‘Welcome Visitor’ program for New York. Ray Corkran decided to enter the field of Elder Care partly because of an incident in his own family. But he did it at age 60 when he bought the Home Instead franchise. citing uncertainty over Medicare and Medicaid and baby boomers hitting 65 as reasons to be optimistic about the financials. And, worst case scenario, now he’s got a place to hang his hat in 20 years, if it comes to that. Blume spent over 20 years in the dairy business, and then he spent a few years creating an ice cream business with some partners. It eventually had a big hit flavor and Blume decided to go it alone and mortgaged his house to buy out his partners and start Denali Flavors. The company has eventually had over $85 million in annual sales. Mary Tennyson came up with her idea after her 92-year-old mother stumbled, fell and broke her hip. Her mother, (still active even when using a walker) had trouble carrying a bag. So Mary came up with the idea of a pocketbook that attaches to a walker. The successful StashAll was the result. Gail Dunn had years of experience working on cars when she decided to set up a business to help women and others struggling with dealing with the automobile industry. So at 64 she set up the Women’s Automotive Connection to provide automotive advice and service as well as lots of advice. They run automotive boot camps and more. 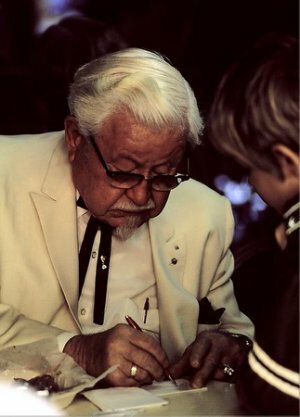 Perhaps better known by his formal address, Colonel Sanders is essentially a household name as the founder of Kentucky Fried Chicken. After a military career as well as several failed previous ventures, he took his first social security check and founded the famous franchise which he eventually sold in 1964. Art retired at 65, like many people, but couldn’t face not working and knew that lots of other older people were in the same boat. So he started a job board for older people called Retired Brains in 2003. Ten years later it is still going strong – and so is he. J. Frank Norris – Held pastorates of two churches for 15 years at age 58 with both reaching 5,000 in attendance. Dr. Bob Jones Sr – At age 63 relocated Bob Jones University to Greenville, S.C.
Lester Roloff and John R. Rice became nationally known in their 60’s. T. T. Shields – Became known as the “Spurgeon of Canada” in his late 50’s when he organized the Toronto Baptist Seminary. L. R. Scarborough – Became the leader of the Southern Baptist Convention when he was 68 and writing 14 books. G. Campbell Morgan – At age 70 he returned to England to again become pastor of Westminister Chapel until age 80. W. B. Riley – He pastored for 50 years the First Baptist Church of Minneapolis, MN, and became nationally known in his later days. R. A. Torrey – In his late 50’s led the Moody Bible Institute and the Moody Church. His ministry came to full bloom in his later days. C. I Scofield – Finished his work on the Scofield Bible at age 66 and died in his prime at 78. B. H. Carroll – Served as President of Southwestern when he was 65 until he was 71. D. L. Moody – Founded Moody Bible Institute at 52 and died at 62. John R. Rice – Died at age 86. He came into his prime in his late 60’s with the SWORD OF THE LORD paper and city wide campaigns. Harold Sightler – Pastored for 55 years averaging 40 revivals a year, during ages 48 to 64, while giving $10,000 a week to missions. He had a children’s home, college, Christian school, widow’s apartments, and two radio stations. Bill Rice – Started the world’s largest deaf camp at age 40 when he moved to TN. He died at age 66 being nationally known. Moses – Was 40 when he went to the wilderness and was age 80 when he led God’s people out of Egypt. Dr. Lee Roberson – Pastored for 40 years and the church grew from a handful of people to over 10,000 in attendance. At age 90 he was still conducting meetings in 150 churches a year. Dr. Jack Hyles – Pastored for 54 years. At age 74 First Baptist Church had 180,000 members with 40,000 active members. Dr. Hyles had $90 million worth of property all debt free at his death. At age 46 he started Hyles-Anderson College which had 3,000 students at his home going to Heaven. TIME IS AN EVENT – Time is not seconds, minutes, hours, days, weeks, months, or years. Anyone who focuses on time and ignores the events that consume that time will fail to grasp learning from what is happening. 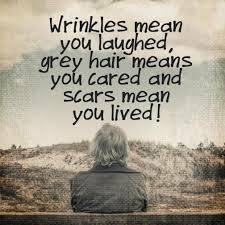 THE MORE EVENTS YOU EXPERIENCE THE LONGER THE LONGEVITY. IT IS NOT THE TIME, BUT THE EVENTS THAT BUILD A MAN’S MINISTRY. TWO WORKS ARE AT PLAY – The work you are doing on them and the work they are doing on you. THE LESS YOU DO THE LESS YOU LEARN. THE GREAT MEN OF THE PAST STAYED AND CONQUERED, WHILE OTHERS LEFT HAVING FACED THE SAME PROBLEMS. NORMALLY IT WILL NOT ALL COME TOGETHER UNTIL YOU ARE IN YOUR 50’s, IF HISTORY REPEATS ITSELF. IMPATIENCE IS THE BAIT OF SATAN. MOVING TO GET AWAY FROM PROBLEMS CREATES AN APPETITE FOR THE NEW INSTEAD OF THE OLD. THE SAME BATTLES AND PEOPLE ARE WAITING FOR YOU AT THE NEXT PLACE. GREAT MEN ARE KNOWN FOR WHAT THEY ARE DOING AT THEIR DEATH. DO NOT RESIGN, BUT RE-SIGN. THE LONGER YOU STAY IN THE BATTLE THE CLEARER THINGS BECOME. WHEN YOU MOVE TOO MUCH YOU ARE STUNTING YOUR GROWTH.